Rory McIlroy carded a second-round 63 to charge into contention at the weather-affected Genesis Open. After returning on Saturday morning to complete his second round, the world number nine birdied four of his remaining five holes. That improved his position to seven under which left him four behind leaders Justin Thomas and Adam Scott. Tournament organisers are having to play catch after most of Thursday's scheduled play was delayed by rain. After being unable to play on Thursday, McIlroy shot a one-over-par 72 on Friday prior to carding four birdies in a blemish-free 13 holes before the hooter sounded. Ireland's Seamus Power missed the cut by one shot after one-over 72 left him on level par. Tiger Woods, who played alongside McIlroy and Thomas in the opening two rounds, finished on one under and survived to the closing two rounds. 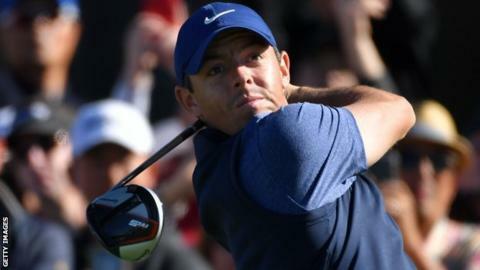 In his first round, McIlroy birdied the first and the eighth to move to two under but failed to pick up another shot as he bogeyed the ninth, 12th and 13th.